​We believe in leading with gratitude and providing hope through sight. H elp every person reach his/her visual potential. E ducate the community on impact of poor eyesight. A wareness of eye health and vision issues. L ift barriers to access to care. Our Goal is to Help Everyone Enjoy the Gift of Sight! In our first 2 years, we were able to help 321 clients receive vision services. During the 2018-2019 school year, we participated in helping an additional 450 school children in the Youngstown and Liberty school districts. Services provided in our first 2 years! Co-Founder, Karen Segesto, reads to children while they wait for their eye exams at the Youngstown City Schools. Through the collaboration of 40 eye doctors in the Valley, we have been able to provide vision services to all in need. 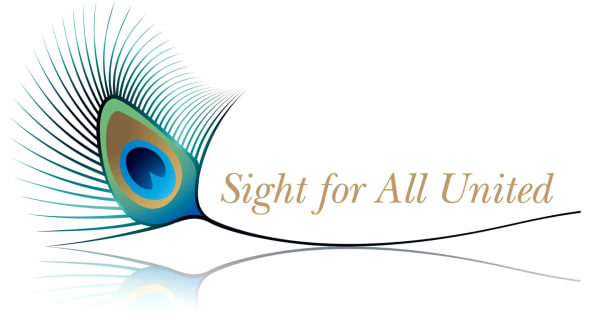 Through Sight for All United, our Doctors for Sight can work in tandem with the community leaders to efficiently deliver care. Sight empowers people and allows them to learn more effectively, drive safely, and maintain independence. Sight also prevents falls in our elderly, helps decrease social isolation, and improves behavior and attention. We provide resources and collaboration for vision services to individuals in the tri-county (Mahoning, Trumbull, Columbiana) area. Through our help, clients can receive much needed surgeries, diabetic laser treatments, macular degeneration treatments and injections. We also assist treatment for chronic testing and low vision assistance and school eye exams and glasses to those in need. We are proud of our ongoing school vision program, Sight for Kids, which began in 2016. Our initial year raised awareness of a community wide vision problem for our children. We collaborate with community leaders from Youngstown City schools, Essilor Vision Foundation, Classic Optical, United Way, and Akron Childrens Hospital to provide eye examinations for children from kindergarten through fourth grades. Our volunteer doctors, Doctors for Kids, arrange time to come into the schools with equipment and provide eye exams. Children who require glasses receive 2 pairs (one for home and one to leave at school) thanks to the Essilor Vision Foundation and Classic Optical. If a child is diagnosed with a more serious eye problem, arrangements are offered to see the child at a local physician’s office for continued care.